Erik  Sundermann leads the Integrated Care and Verily Life Science Portfolio activities at Sanofi Diabetes Development. He is responsible for all development projects in Sanofi´s alliance with Verily Life Science related to Diabetes. Over the last 2 years Erik has been fundamental in creating Sanofi´s Joint Venture with Verily Life Science called Onduo. Verily is the healthcare arm of Google parent company Alphabet. Onduo’s mission is to help people with diabetes live full, healthy lives by developing comprehensive solutions that combine devices, software, medicine, and professional care. Combined with Verity’s experience in miniaturized electronics, analytics, and software, Sanofi’s brings strong clinical expertise and experience in innovative treatments including patient friendly medical devices for people living with diabetes. 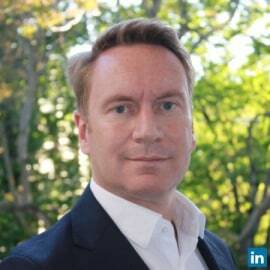 Erik has 15+ years’ experience in all functions of the health care value chain from R&D to Industrial to Commercial. Previously Erik held leading roles at Sanofi in Strategy and Portfolio Management as well as Medical Affairs for its Global Diabetes Division. Erik holds a PhD in Chemistry from the RWTH Aachen, Germany.